The first edition of Potato Demonstration Day was held in 2001. 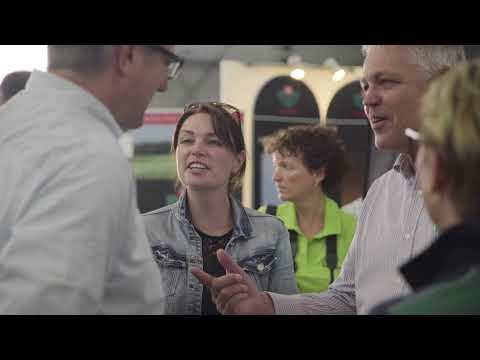 It was initiated by Nedato, the Dutch potato growers' organisation, which wanted a platform where its member growers could meet each other in an atmosphere of current issues and innovations related to potato cultivation. Applied Arable and Vegetable Research Westmaas hosted the event. In 2002, Applied Arable and Vegetable Research Westmaas's role changed from that of host to that of co-organiser. 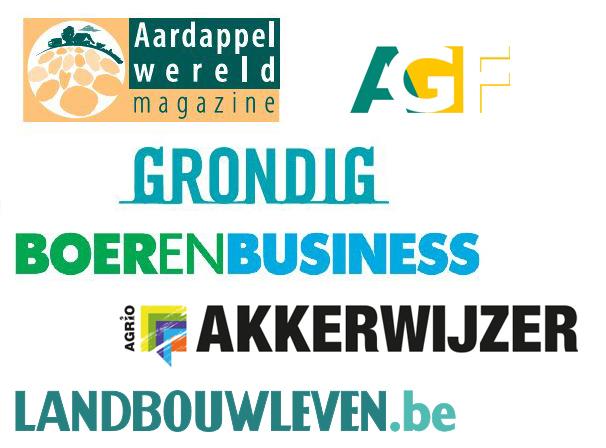 Since 2002, the Potato Demonstration Day has been extensively promoted in cooperation with media partners, bringing in a broad audience from all over the Netherlands. In 2004, Nedato withdrew as an organising party in order to allow the event sufficient opportunity for growth. The NAO (Nederlandse Aardappel Organisatie, 'Dutch potato organisation') came on board as a co-organiser in 2004, and since then the event has been in the hands of the two independent parties NAO and Wageningen University & Research, Applied Arable and Vegetable Research. This collaboration has proven to be particularly fruitful and is a major reason for the success of the Potato Demonstration Day. The event has grown enormously over the years, in terms of both exhibitors and visitors. It has become the premier meeting place for the potato sector. 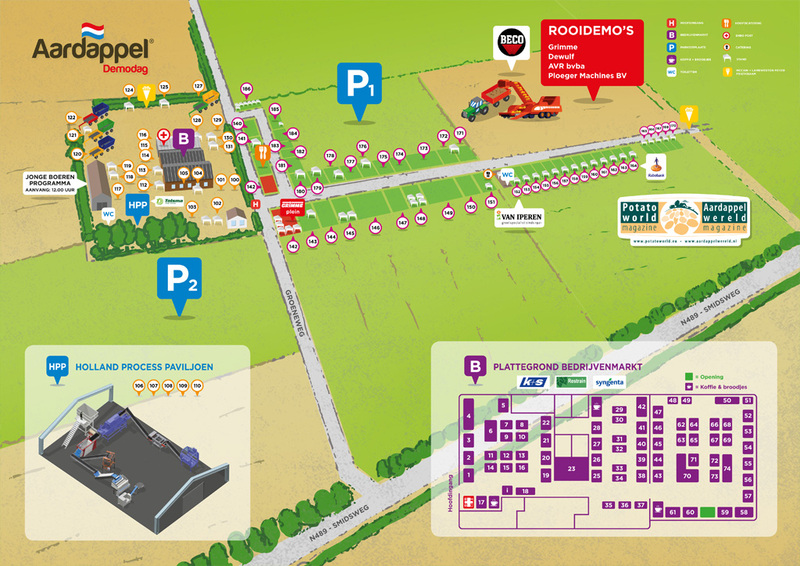 The Potato Demonstration Day organisers hold the major event every two years in Westmaas. Various congresses are organised in the years in between. For the 2012 congress, the organisers sought cooperation with Landbouwbeurs Noord en Centraal Nederland (LNCN, the agricultural trade fair of the northern and central Netherlands). From the beginning, the number of exhibitors has increased each year. In the first year, the visitors primarily came from the south-west of the Netherlands. By the second year, and even more so in the third year, it was clear that visitors were coming from all over the Netherlands. Because of the short travel times to Belgium, the event has also attracted attention in that country. The international character of the Dutch potato sector supports this. The event now has around 130 exhibitors and 7000 to 8000 visitors each year. The Potato Demonstration Day is unique in the market because of its accessibility, the input and contribution from the business partners and its simple organisational set-up with short lines of communication. The key elements of meeting, innovation, demonstration, in-depth information and knowledge exchange are the focus of every event. Generating and transferring knowledge within the chain is central to the event. The day is developed around a different theme each year. Click on the relevant year to see background information around each theme. 2001 What can I, as a producer, grow for what market, and how can I grow it? 2004 Where is the limit for increasing scale and what is the added value for my buyers?